“WETLANDS and climate change” was the theme for World Wetlands Day this year on Feb 2, which annually commemorates the 1971 signing of the Ramsar Convention on Wetlands in the Iranian city of Ramsar. Malaysia is a signatory. This year’s theme highlights the important role of wetlands in climate science. Wetlands occur naturally on every continent and offer natural help in our adaptation to and mitigating the impact of climate change. The degree to which any individual wetland performs these functions depends on the characteristics of that wetland and the lands and waters near it. Home to a wide range of plant and animal life, wetlands are also considered the most biologically diverse of all ecosystems. Sadly, the United Nations Millennium Ecosystem Assessment determined that environmental degradation is more prominent within wetlands than any other ecosystem on earth. People construct artificial wetlands to treat municipal and industrial wastewater as well as storm water runoff. Putrajaya Wetlands Park is believed to be the largest (138 ha) constructed freshwater wetlands in the tropics. It is the first such wetland in Malaysia and includes a Wetland Park. Peatlands are among the most maligned types of wetland on Earth. 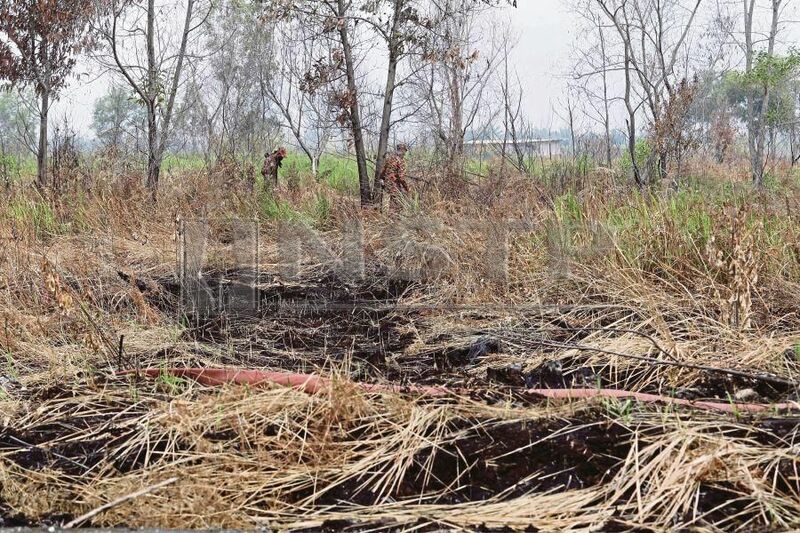 Often when our country has a major forest fire (normally during the dry months) it is associated with the peatlands in Kuala Selangor or Sarawak. Then there are the vast tracts of peatlands in neighbouring Sumatra or Kalimantan, regularly suffering a new inferno. Little do we realise that peatlands are the most efficient natural carbon sink on the planet. They cover only about three per cent of global land area, but hold around 30 per cent of the earth’s soil organic carbon. Like oceans and forests, peatlands inhale carbon dioxide out of the atmosphere. Left undisturbed, they store more carbon dioxide than all other vegetation types on earth combined. But when they’re drained and deforested, they exhale — indeed, they release nearly six per cent of global carbon dioxide emissions each year. Climate researchers are worried that many of the peatlands soaking up carbon now will soon be doing the opposite. In Malaysia, peat soils cover about 2.5 million ha (about 7.5 per cent) of our total land area. Sarawak has 1.7 million ha (69 per cent) of Malaysia’s peat soils; Peninsular Malaysia has 643,000 ha or 26 per cent; Sabah 117,000 ha, or almost five per cent. These constitute some of the most extensive tropical peatlands in the world and consist mainly of peat swamp forest, a critically endangered category of forested wetland characterised by deep layers of peat soil and waters so acidic that many of the plants and animals found in them do not occur in the other tropical forests of Asia. Malaysia’s peatlands play a critical role: they preserve water supplies, regulate and reduce flood damage, provide fish, timber, and other resources for local communities, and regulate the release of greenhouse gases by storing large amounts of carbon. They also host many globally-threatened and range-restricted plants and animals. According to Wetlands International Malaysia, despite these values, the peatlands of Malaysia are the most highly threatened of all our forests and wetlands. Vast areas of peat swamp forest have been cleared, burnt, and drained for economic development and few peatlands remain intact. Remaining peatlands continue to be cleared, particularly for oil palm plantations, to meet domestic and international demand for palm oil and other agricultural products. And as this is going on, international consumers are instituting more stringent requirements for forest-certified and “green” products, putting new demands on Malaysia to meet its national and international commitments to climate change protocols and biodiversity conservation. As it strives to achieve economic targets, the government is conscious of its environmental responsibility. In May 2011, the National Action Plan for Peatlands (NAPP) was released by the then ministry of natural resources and environment. NAPP was formulated through an open and transparent consultative process with all stakeholders and the goal is to sustainably manage our peatlands in an integrated manner, to conserve resources, prevent degradation and fires, and generate benefits for current and future generations. Regrettably, we are hampered by a lack of data to measure our progress against these lofty objectives. We need to know the extent and status of resources within Malaysia’s peatlands if we’re to decide how we should improve their management. And we need to think hard about giving peat soils over to cash crops like oil palm. In this era of sustainable development and the growing pressure being applied by consumer countries on the sustainability of their imported products, we don’t need highly justified global concerns for peatlands to diminish our ability to compete and impede our socio-economic development. Zakri Abdul Hamid is a distinguished fellow of the Washington-based Global Federation of Competitiveness Councils and former director of the United Nations University’s Institute of Advanced Studies in Tokyo. Haze caused by peatland fires?